read the comic strips or gathered in front of the big screens with our popcorn and medium sized cokes to see what happens in the next chapter of the Avengers. It is characters like Iron Man and Wonder Women that fuel the dreams of everyone everywhere, making every individual excited to don colourful tights, masks, shields, and of course that all important red cape. The desire to want to save the maiden in distress, turn back time by flying super fast, and to have little kids be in awe of you. 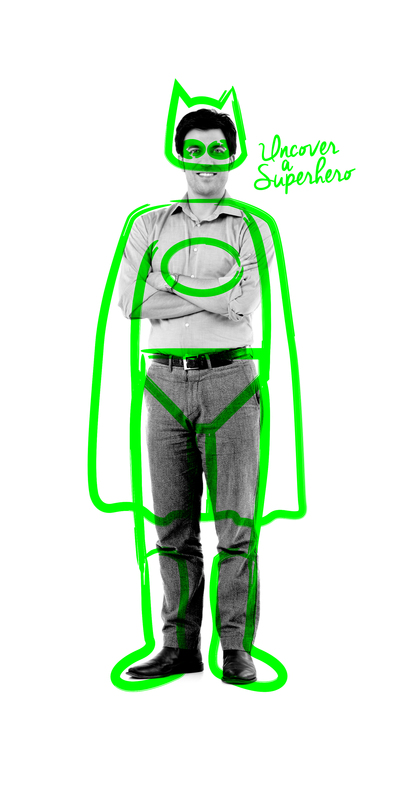 Wanting to be a superhero seems to be encoded into our DNA from the first time we go to a dress up birthday party. This aspiration can also be transferred to the work place too! Firstly do you really want the superhero? Culturally will a superhero work for you and your current structure and personalities within your business, or will a superhero really upset the applecart? Or perhaps you feel it’s time to challenge the Status Quo? It’s an important question and it’s important for everyone to buy in to this, as finding a superhero requires a consistent approach, with everyone clear on what they are looking for. Secondly can you attract a superhero? Are your salaries, benefits package, culture, location, brand and working environment market leading? Will they want to come and work for you? Alternatively do you already have superheroes working for the business, but you have yet to uncover them or they are hiding their talents? Make sure you really look hard before you look externally as overlooking talent can have catastrophic consequences for all involved. However if you have exhausted all internal options and you need to uncover a superhero from elsewhere, then let’s start looking! The key is really understanding exactly what you are looking for, because if you don’t, it’s impossible for a recruitment partner to find it! Or perhaps stakeholders within the organisation have differing ideas on what they are looking for? Well, the key is to be clear, to agree and then clearly communicate this to your recruitment partner. Finally engage with a partner that you can trust, that has a powerful reach into the market, is a known brand in the industry and most importantly that you enjoy working with! The best results always come from the best relationships, with a clear agenda, excellent and open communication & the ability to laugh! Fitting a candidate straight in with the culture of an already established workforce allows harmony to be kept, trust to be instantly created, and the community to be built swiftly! Here at Cactus, we are professionals at this and have been doing just this in the Contact Centre world for the past 13 years. We believe in ensuring the candidates buy in, creating the ‘wow’ factor for our clients, that is, when briefing potential candidates on behalf of our clients we make sure that we are really, REALLY enthusiastic about the role and the company, every organisation has something exciting to say! Obviously offering up a great package to the candidates really puts out a big juicy worm to all the biggest fish in the candidate pool, however, sometimes it’s not the financial side that draws that illusive candidate and it could be the little things that help; packages that include details such as flexible hours are always a winner with potential candidates. Family time is important to all adults and a company keeping this in mind will always come out on top. If you allow for more flexibility when it comes to hours then your employees are going to give you 150% back, turning them into that superhero you have been searching for. Another important factor in gaining a ‘cape wearing superhero’ is making sure you get the right person out their recruiting for you. As a Contact Centre Search business Cactus Search is an ideal best friend when it comes to finding all the possible superstars in the Contact Centre industry – we know some fantastic people, we have placed some fantastic people and we are hugely passionate about it! It’s also worth remembering that when it comes to choosing the right partner, less can very much be more! Spreading the net too wide and utilising too many agency partners and routes to market can have a detrimental effect not only on the relationship with your partners, but also, can make you and your brand look desperate and disjointed and while the Contact Centre industry is vast employing well over 1 million people (over 4% of the UK workforce and more people than the vast majority of other UK industries) it’s also very incestuous! Happy Hunting – there’s nothing prickly about us! Previous: Previous post: Why LinkedIn is just as important as a CV! Next: Next post: Films that are all about recruitment!